Top 6 ways are shared here to download photos from iPhone to Mac/PC/iPhone/iPad/iPod Android devices simply with fast speed. Photos, particularly live photos, eat up a lot of iPhone's space. Importing photos from iPhone is a good approach to make space on iPhone. Follow the guide of iPhone photos exporting to free up iPhone space, or to edit & manage iPhone photos on Mac/PC etc. Whether you are in want of a fastest solution or a simplest method to do that, congratulations, you've come to the right place. 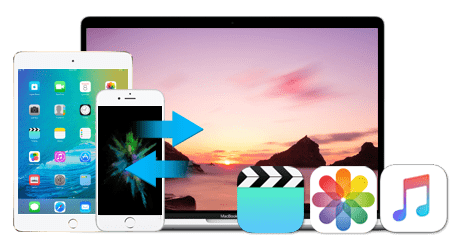 MacX MediaTrans offers the world's fastest way to download and move photos from iOS, including 4K live photos, photo albums, Selfies, Panoramas, Bursts, Screenshots, Camera Roll pics, from iPhone X/8/7/7 Plus/SE/6s/6/5s, thanks to its advanced Intel QSV acceleration tech. Better still, when you need to play iPhone heic on Windows or Android, it can also render help, auto converting heic to jpg format upon export. 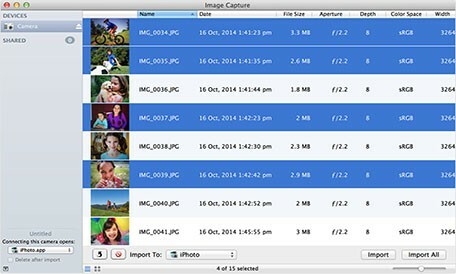 MacX MediaTrans provides the fastest solution to download and export iPhone photos in a click - it only takes about 8s to download 100 4K photos from iPhone to Mac. It allows you to import photos from iPhone that is jailbroken or non-jailbroken, including live photos, HD pictures from Cameral roll, photo album, Selfies, Panoramas, Bursts, Screenshots, library and more. You can save iPhone pictures to Mac with no limits on the number of photos and file size. Below is a step-by-step guide on how to do that within clicks. Free download MacX MediaTrans (macOS High Sierra supported) or download Windows version for free (Win 10), and run it. Step 1: Connect your iPhone to Mac/PC with USB cable and turn off iTunes auto sync. Step 2: Click "Photo Transfer" on the main interface. It's quite on-screen instruction to copy photos from iPhone. Step 3: Select photos from iPhone to transfer. You can check the box next to "Select all" to download all photos from iPhone. And click "Export" button to get photos off from iPhone to MacBook Air/Pro/iMac/2017 iMac Pro or PC. You can add photos to iPhone 8/Plus or iPhone X via "Add Photo" button. It's the same to transfer photos from iPad to Mac/PC. The iPhone photo downloader can transfer music, videos, movies, TV shows from iPhone, iPad, iPod to Mac/PC and vice versa. Plus, it can turn your iPhone, iPad to a USB flash drive to store any data. When you download HEIC photos from iPhone 7/8 Plus/X, you are free to use the software to convert HEIC image to JPG format for Android devices, or older iPhone models, image editors, Windows PC. If you are Amazon Prime member, you can turn to Amazon Cloud Drive Photos to import photos from iPhone. 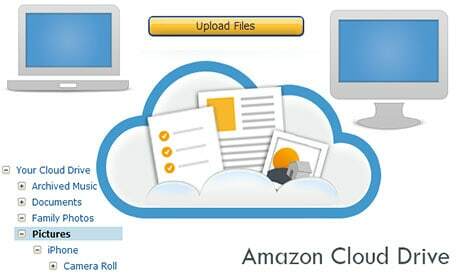 Amazon Cloud Drive gives unlimited photo backup, and other storage start at $ 11.99/year. You are allowed to download photos from iPhone to Mac/PC/external hard drive via Amazon Drive desktop. 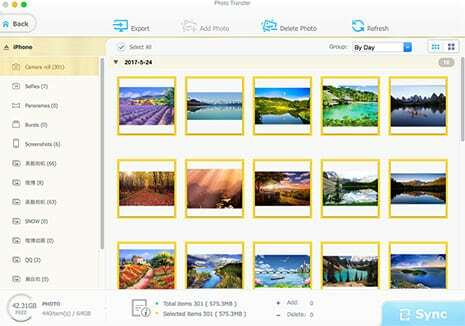 After you import photos from iPhone to Amazon drive, select Downloads tab, click Download…, and choose picture folder, click Download to… and select a destination folder to save pictures from iPhone to Mac/PC/hard drive/USB flash drive. Shortcomings: It can only copy photos from iPhone, without any other advanced options, for example, delete photos from iPhone in batch, organize photos into folders, and more. Other photo organizing software for iPhone is needed for better photo management. 1. Open iPhone photo app and select photos you want to download. 2. Tap Mail icon, enter email address and click Send. 3. Login in email address on Mac/PC and download images you've sent from from iPhone. It's an old-fashioned way to import photos from iPhone, especially when there're tons of photo transfer applications available. You can only send up to five photos each time. Image quality gets decreased during the process. Image Capture is one of wonderful Apple's applications that many iPhone users don't bother with. In fact, you can use it to save photos from iPhone to Mac/iPhone/iPad/Android in a very simple way. 1. Connect iPhone to computer, run Image Capture, select iPhone in the Devices list. 2. Press CMD +A to select all the images on iPhone, or press CMD + to select a few pictures at random. 3. Choose "Import" or "Import All" to import photos from iPhone to Mac computer. You can select "Delete after Import" to remove pics on iPhone after you've synced them to Mac/Windows PCs. Shortcomings: Image Capture only enables you to copy photos from iPhone to Mac without deleting the original files on iPhone. It has no photo editing features that iPhoto offers. Note that it merely helps download iPhone photos from Camera roll, not including other photo albums on iPhone. Get to know how to transfer photos from iPhone to Mac/iPhone/iPad etc. 1. Connect iPhone with Mac computer via USB cable, and run iPhoto on Mac. 2. Head to Device and find your iPhone. 3. Select photo on iPhone to download, there're two options: import selected, or import all. iPhoto accepts most common image file formats. 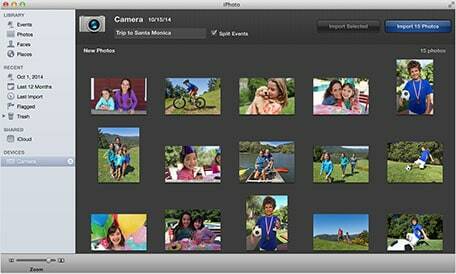 iPhoto is not working on Mac OS X Yosemite and higher version, discontinued. Check iPhoto alternatives if you need. 1. 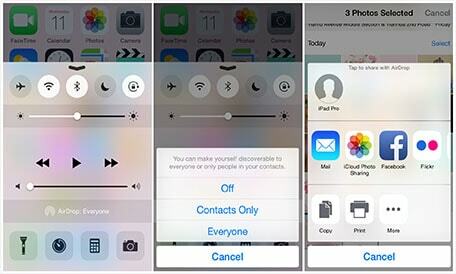 Turn on AirDrop on your iPhone by using Control Center. Please note that Airdrop supports to import photos from iPhone 5 or later. 2. Select photo and tap Airdrop iCon. 3. Choose iPhone, iPad, Mac, iPod setc. to copy photos from iPhone to. You have many other optional ways to download photos from iPhone to PC/Mac/iPhone/iPad/USB drive: iTunes, iCloud, photo app like iPhoto, Windows Explorer (import photos from iPhone to Windows 10), Dropbox cloud services. But the first iPhone photo transfer third-party tool is the fastest way to copy photos from iPhone in batch with no limits. As top-rated photo manager software for iPhone, it gives the fastest access to download and transfer photos from iPhone X/8/7/6s/6/5s to MacBook/iMac at 5X faster speed and auto convert iPhone heic (HEIF) to jpg format. Thus, you can play heic images on Windows/Android.